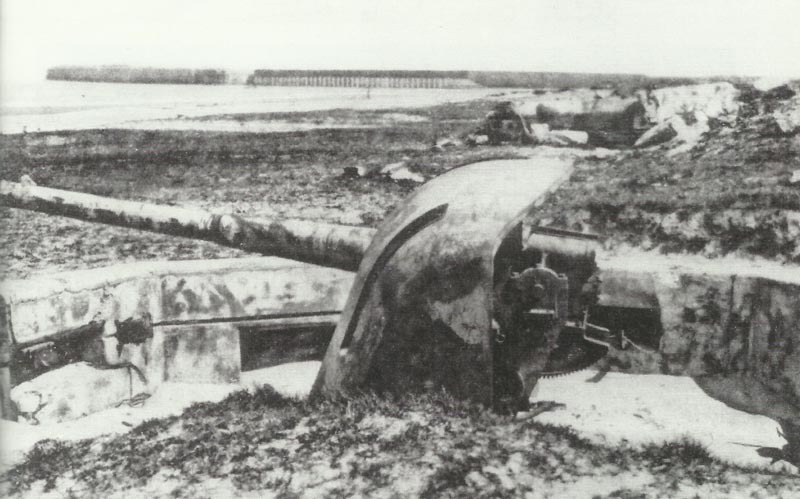 German 10.5-cm-Quick-loading cannon L/45, as are in use for coastal defense at Knocke and Zebrugge. Channel: Dover Patrol monitors shell Zeebrugge and Knocke. Adriatic: German U-boats U34 and U35 reach Cattaro after leaving Heligoland (August 4), sail for Mediterranean (August 27 – 28) after Liman von Sanders and Kaiser ask for more boats. Field Marshal French bows to Joffre and Kitchener, BEF will attack fully alongside French armies. Joffre writes to War Minister ‘a breakthrough is possible … provided powerful attacks are made simultaneously in different areas and each on a very wide front’. Gallipoli: Hamilton cables Kitchener, ‘It is only possible for me to remain on the defensive’. Kitchener recalls Hammersley, GOG 11th Division. Byng, Maude and Fanshawe arrive to take over IX Corps and divisions next day.